Tydell Disposal offers the BEST DISPOSAL BIN RATES and the BEST BIN RENTAL PRICES in the Greater Toronto Area. Whether you need a bin rental for soil disposal, concrete disposal and general garbage disposal, Tydell Disposal can handle your needs. I’m a business owner in Toronto, ON and over the past four years we’ve been doing some renovations and had to order several dumpster bin rentals from several disposal bin companies. The problem is that I did not find a company I could trust for reasonable disposal bin rates. Then I came across the professionals at Tydell Disposal. They helped me through every step of the process and helped me save a great deal of money at the same time! If you need cost-effective disposal bin rental services call Tydell Disposal at 416.633.4004. Renting a dumpster bin will alleviate stress and improve your professional image. It is an economical and effective way to get rid of all your excess garbage, soil or concrete. There is no need to load as much waste into your family vehicle or truck as you can. It takes too much time and effort. Call Tydell Disposal and we will show you how to go about renting a dumpster bin for your needs. There are many options available in renting a disposal bin. When you hire Tydell Disposal, we can provide you with many different options and you can locate one that fits your needs. A 5 yard, 10 yard, 14 yard, 20 yard and 40 yard disposal bin is just the answer you need. 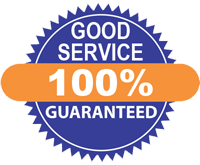 Also, our customer service is excellent, so you will never be on your own or forgotten when you go through Tydell Disposal. There are many benefits in renting a disposal bin. You might think you can spend less taking all your trash to the local dumpster but that is not the case. If you or your friends have to transport your own trash, you could be making some big mistakes. First, you need to realize the risk you take when you transport your own junk. All the legal responsibility is on you if you do something wrong. The second issue is that it requires a lot of time and money to transport your own junk. As a final point, you may be improperly disposing of your garbage which could hurt the environment and you could receive a hefty fine as well. Using Tydell Disposal and renting a dumpster bin can avoids all the problems of garbage, soil and concrete removal and disposal. The best part about renting a diposal bin from Tydell Disposal is that they gave me a free on site quote. Every other dumpster bin rental company I called wanted me to commit over the telephone and I just wasn’t comfortable doing that. I’m glad I found a company I could trust to handle my dumpster bin rental.